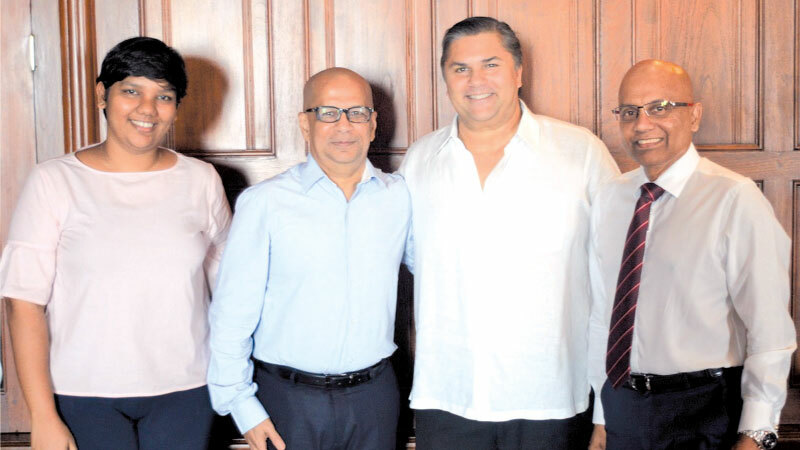 Taprobane Capital Plus (Pvt) Ltd, a wholly owned subsidiary of Ambeon Holdings PLC has selected MTI Consulting to conduct a strategizing exercise to explore and identify opportunities for Taprobane Capital Plus within the Financial Services domain. Taprobane Capital Plus is the financial services arm of Ambeon Holdings comprising of three subsidiaries – namely; Taprobane Investments, Taprobane Securities and Taprobane Wealth Plus. The financial services of the Group comprise investments, stock broking and money broking. The investment team has a wealth of experience and expertise to orient decision making in fund management, government securities, equity and corporate finance. “Having recorded impressive financial results during the 2017/18 financial year, the Ambeon Group has seen remarkable performance, arising from its recent corporate restructuring program. Therefore, we look forward to further developing and exploring the possibilities within the financial services domain in order to fully capitalize and align our financial services offerings accordingly,” said Sanjeev Gardiner, Chairman, Ambeon Capital PLC. Taprobane Capital Plus (Pvt) Ltd is a subsidiary of Ambeon Holdings PLC. (Ambeon Capital PLC is the Holding company of Ambeon Holdings PLC) Its other subsidiaries include, South Asia Textiles Limited, (leading manufacturer of exceptional quality weft knitted fabric), Dankotuwa Porcelain PLC and Royal Fernwood Porcelain Ltd., (manufacturers of porcelain tableware and gift items for global giants such as Oneida, Macy’s, Country Road, Lenox, John Lewis, Crate & Barrel, Megros, Jashanmal, Ralph Lauren, the Walt Disney Company and Dilmah), Ceylon Leather Products Limited (manufacturer of leather footwear and accessories), Millennium Information Technologies (Pvt) Ltd (Sri Lanka’s leading information systems solutions providers delivering IT solutions for many industries; including banks and finance, telecommunications, apparel and leading conglomerates) and Colombo City Holdings PLC (real estate). MTI Consulting is an internationally-networked boutique management consultancy, offering advisory services in strategy, strategic planning, corporate re-structuring, process re-engineering, performance management, international market entry, feasibility studies, due diligence, corporate finance, mergers and acquisitions, HR, executive search/head hunting, marketing strategy, branding and market research.